The forthcoming episodes of Star Plus’ daily popular show Yeh Rishta Kya Kehlata Hai will witness some high voltage drama. It seems that Gaurav Wadhaw will soon enter the as Suwarna’s son. He will be essaying a negative role as he feels that his mother gave up on him for the luxury of Goenka family. 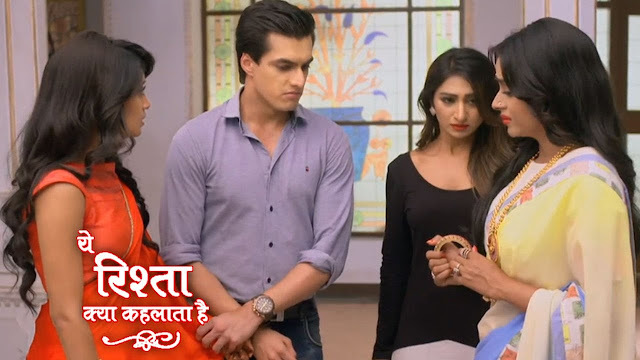 In chapter to come Kartik (Mohsin Khan), Naira (Shivangi Joshi), Naksh (Rishi Dev) and Kirti (Mohena Singh) will be out for jewellery shopping when they will get stuck in an extremely bad weather and their car will stop working. Gaurav will give them a lift and later on become good friends with them and enter the Goenka family.